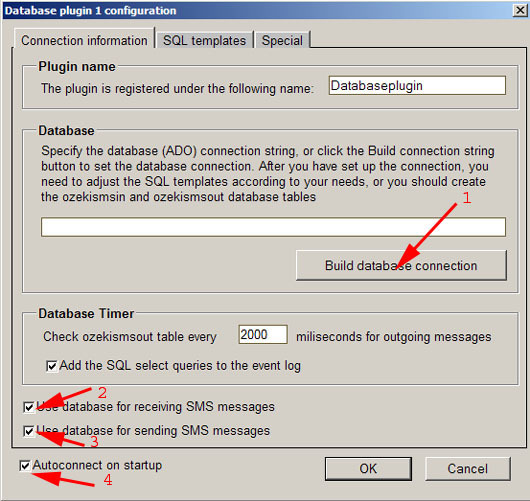 In this step-by-step tutorial we explain how to create an Access application, which is capable of sending and receiving SMS messages. 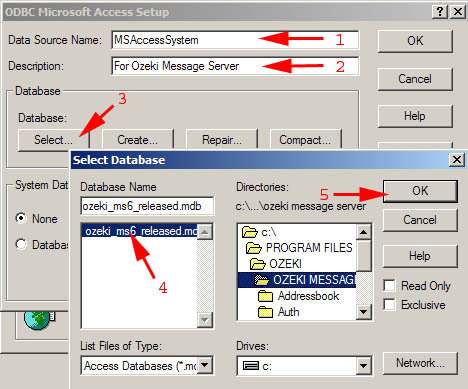 In order to use this tutorial, you need an installed copy of OZEKI MESSAGE SERVER and MICROSOFT ACCESS. 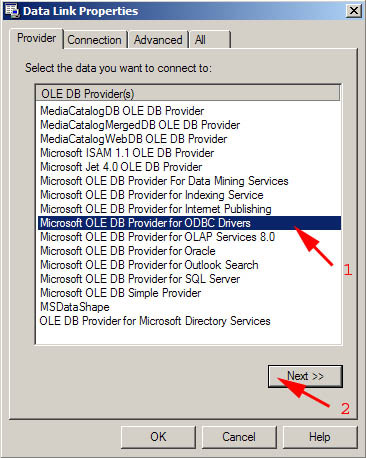 In order to use Access you need to set up an ODBC connection. 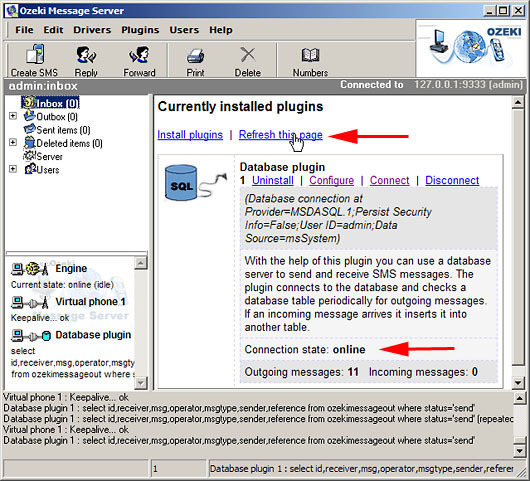 Click on Start / Settings /Control Panel / Administrative Tools and click on the "Data Sources" menu item. (Figure 2) . 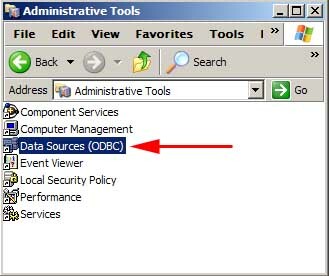 The following window opens: ODBC Data Source Administrator (Figure 3.) 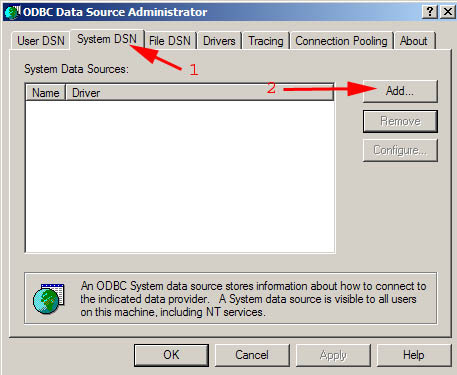 In this window select the System DSN (1) tab. Then click on Add (2). 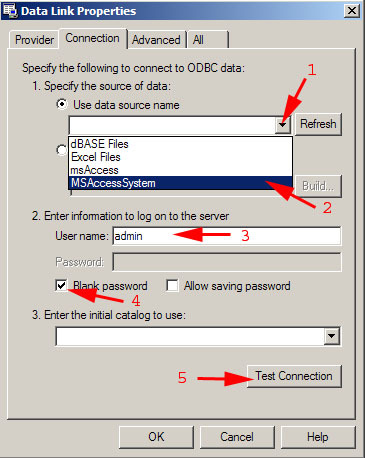 This brings up the ODBC Microsoft Access Setup (Figure 5.) form. 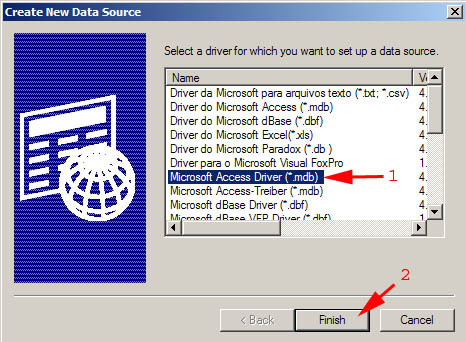 Set the Data Source Name to MSAccessSystem (1) write some Desciription (2) Click on Select (3). Open the preveously downloaded file, or the file you have created yourself: ozeki_ms6_released.mdb. 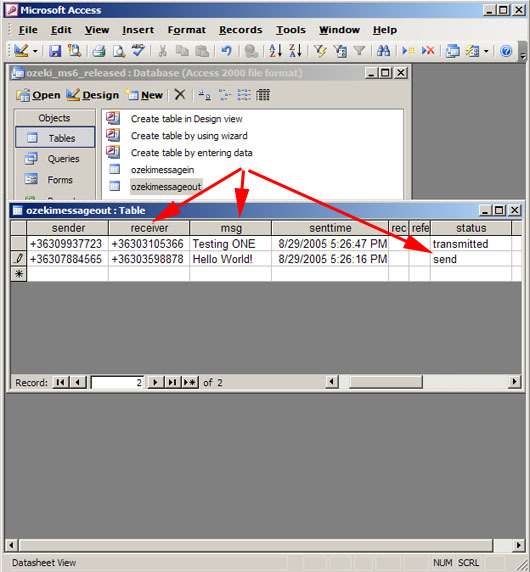 Select the Use Connection String radio button , and click on build (Figure 10.). When you setup is correct the next window will appear: At the bottom of the window you can see the log if you click on the statusbar. 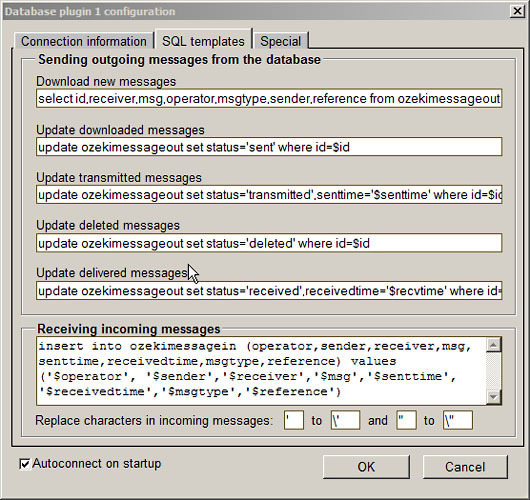 When the Database connection is established the Database plugin 1 : select id,receiver,msg,operator text will appear in the log. Notice that the apostrophe around the id field is removed.